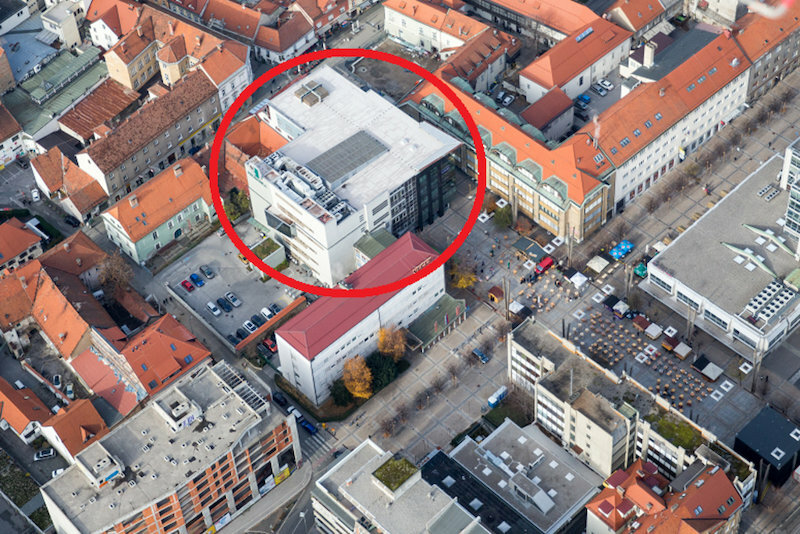 Partially leased out office building with an excellent location in the center of Maribor. 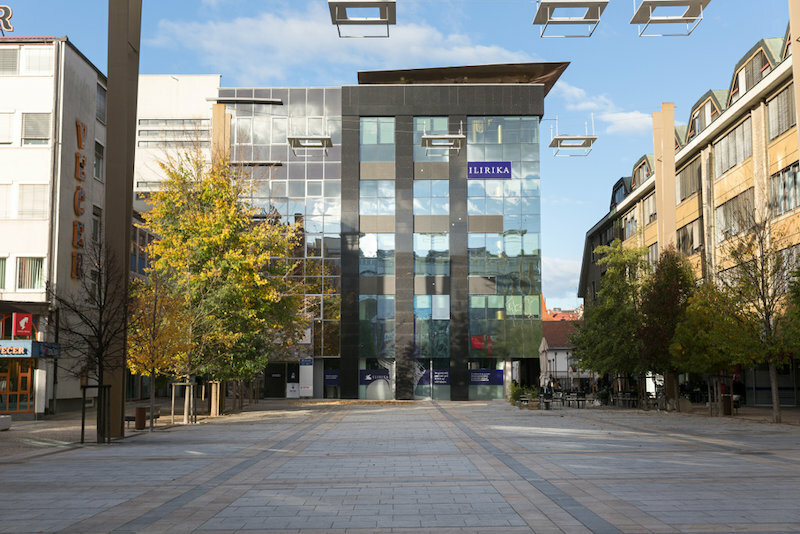 The office building is located in central Maribor, near the Leon Štukelj square. While the property is located in a pedestrian zone, it is accessible by car from the southern side of the building. 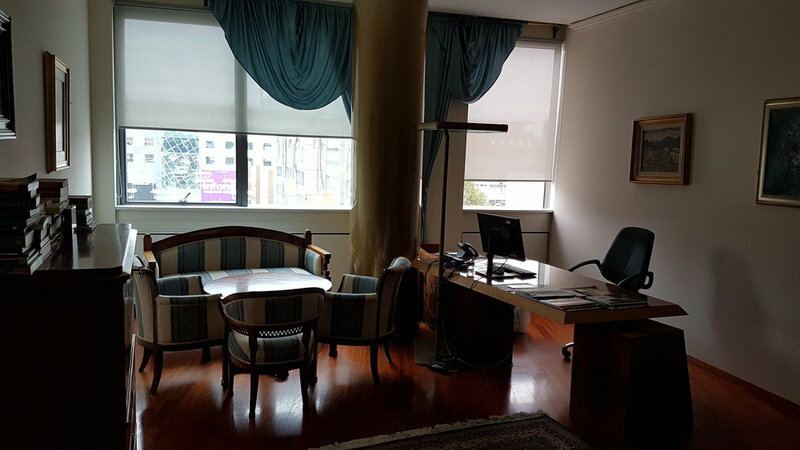 The property has a premium location, at the heart of the lively city beat, overlooking the square which hosts various cultural, entertainment, sporting events, and fairs. 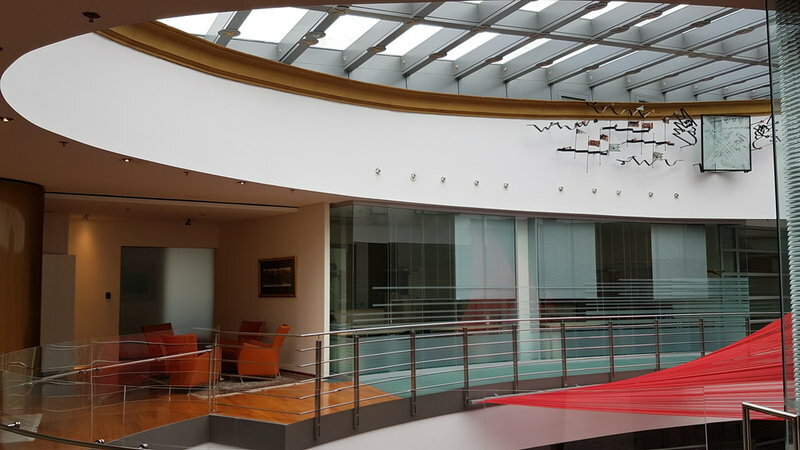 The office building was constructed in 1970 as a shopping mall and completely renovated between 2000 and 2004, converted into a modern office building with a beautiful main lobby. The building has its own power generator, equipment, and devices ensuring uninterrupted power supply and a security-surveillance center. The two-level basement area has a vault, archives area, central server room and auxiliary technical room. A freight elevator leads into the basement levels. The ground floor has a lobby leading into a set of offices of varying sizes. 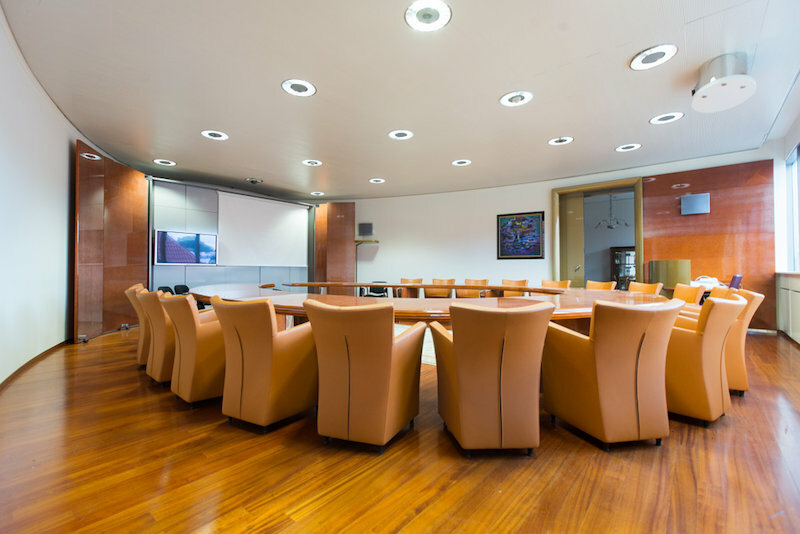 Located on the four upper floors are offices, conference rooms, interview rooms, kitchenettes, restrooms. The upper levels are accessible by stairs and two elevators. There are three entrances leading into the building: the main entrance from the square into the lobby, a smaller entrance from the market, and the back entrance from the parking lot/accessway. The building is accessible by car from the southern side of the building, where a parking lot with 20 parking spaces is located. 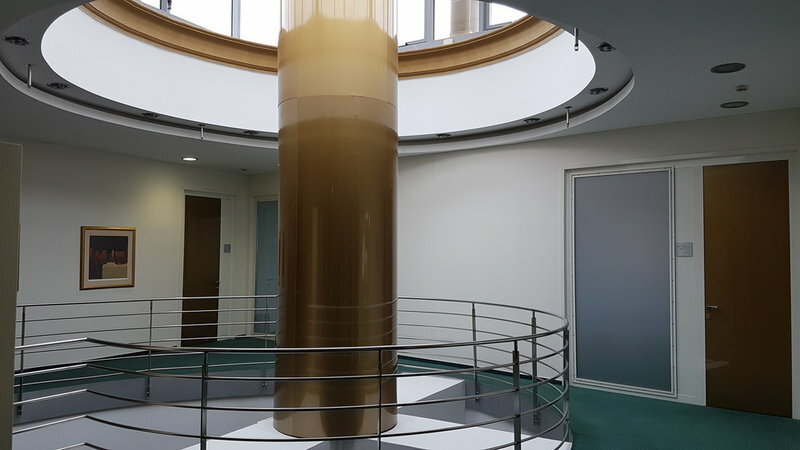 The building is suitable for various service activities, such as banks, insurance companies, and similar institutions. 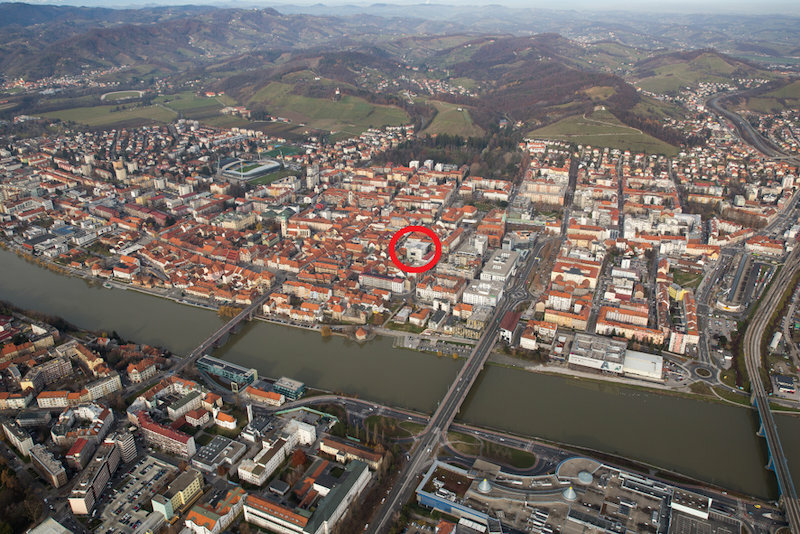 It is also possible to invest in repurposing the interior so as to offer new, smaller service and retail shops and offices in the center of Maribor. 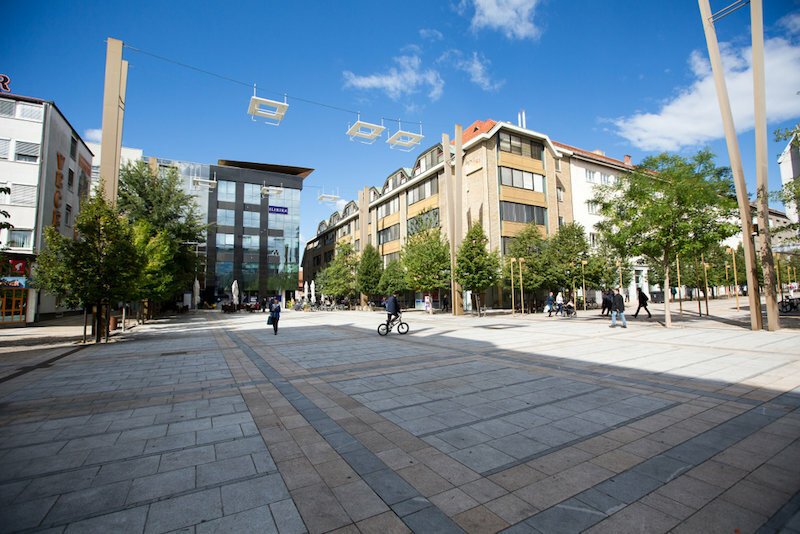 As Slovenia’s second-largest city, Maribor is an important economic, transport, cultural, academic, scientific and medical hub in the northeastern part of Slovenia. The Municipality of Maribor covers a surface area of 148 km² and has a population of over 111,000. Almost 60,000 people commute to Maribor on a daily basis, for work, school, shopping etc. Maribor is strategically positioned in the direct vicinity of three neighboring countries: Austria, Hungary and Croatia. It has an airport, with strong railway and road connections. It was pronounced the European Culture Capital in 2012, and is becoming an increasing popular tourist destination. Maribor is one of the fastest-growing destinations in Slovenia. In recent years it has attracted increasing interest from investors. With support from the municipality, excellent infrastructure has been developed, with three industrial parks, driving the economic development of the city and broader region. Are you interested in buying or renting a property? We kindly request you submit your indicative offer by either filling out the form provided or contacting the relevant contact person. All offers will be reviewed on a case-by-case basis and you will be informed about our decision as soon as possible. We also kindly ask you to review our General Terms and Conditions. Price does not include 22% VAT.